UPS is offering for a limited time an introductory one-way vision graphics package including design and installation in the rear window. Get your business noticed everywhere with your company logo and contact details in full colour. 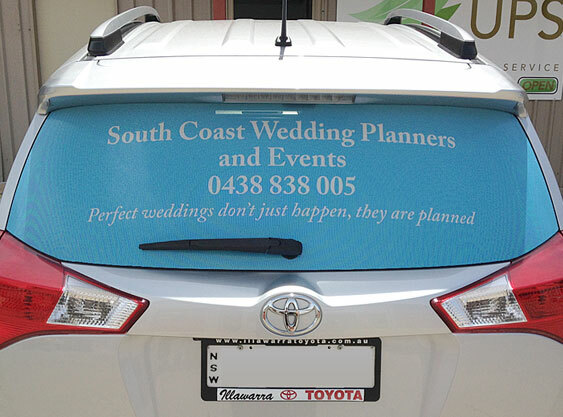 Ulladulla Printing is a well-established commercial printer offering marketing and graphic design solutions throughout the Shoalhaven, South Coast of NSW and Australia. For more than 36 years UPS has established itself as a one stop shop for all that is related to printing, marketing and graphic design. With a reputation as a trusted and client-focused business you can be assured they go the extra step to ensure the service and product you receive is always of the highest quality.